A Step Above Dance & Music Academy offers many levels which are based on age, technique ability, and the director's recommendation. 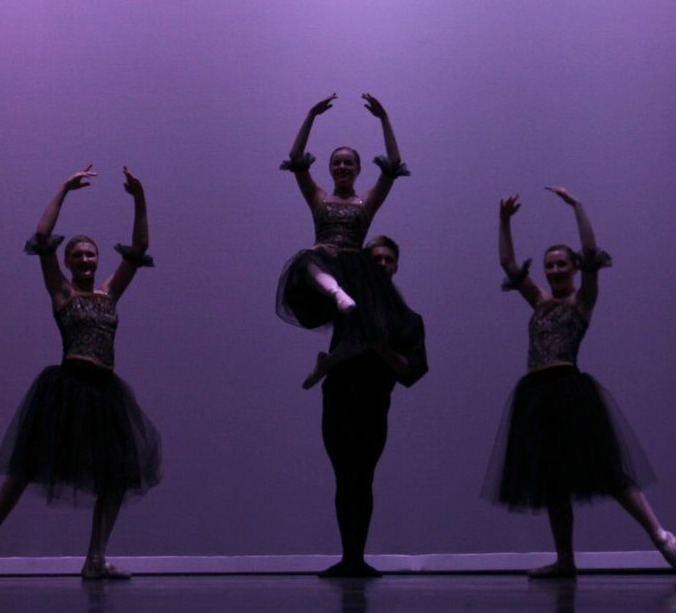 All of our ballet classes are invited to perform in our annual Spring Performance. Please contact our office to see which level will be best for you. To ensure proper technique and strength necessary for all dance styles, dancers who are 8 and under are required to take ballet along with any other dance styles they choose with the exception of hip hop. 30-minute class for children age 4-5 years old. Class size is limited to 8 dancers. Designed to instill a love for dance and develop the skills. Teaches basic ballet technique in a fun and creative environment. Enhances the student's natural rhythmic and musical capabilities and creativity. Basic coordination, body awareness, and learning basic dance class etiquette are large components of this class. 45- to 60-minute class for children 5-10 years old. Class size is limited to 10 dancers. 3 different levels based on age, years of experience, and director's placement. More traditionally structured ballet classes which work on basic coordination and body awareness. Introduce more ballet terminology and movement. Simple barre work is introduced and students continue to progress in center and across the floor work. 60-minute class for children 9-12 years old with 0-3 years of experience. Class size is limited to 12 dancers. Teaches ballet terminology and movement to older beginning students. Classes are traditionally structured and the curriculum is geared to incorporate the students into our intermediate curriculum. 60-minute class for students 12-18 years old and with 0-6 years experience. Offered in 2 levels and teaches ballet terminology and movement to older beginning students. Classes are traditionally structured and the curriculum is designed to challenge all dancers, whether they are returning after several years or have never taken ballet before. Levels range from 60-minute classes to 90-minute twice/week classes. Students are 8-18 years old and placement in one of our 5 levels is determined by the director. Age-appropriate curriculum enables the students to build their technique and ballet vocabulary as they work towards more advanced work. Students who are interested in Pointe will be evaluated for readiness in our Intermediate III level. Students who wish to take ballet 3-4 times a week have this option beginning in our Intermediate II level. 90-minute class that meets twice a week with an option to take class 3 to 4 times a week. Placement is determined by the director only. Students are introduced to advanced concepts and techniques of ballet and movement for advanced development of their locomotive and body isolation skills.